I was talking this weekend to a couple, I will call them Sandra & Jim. 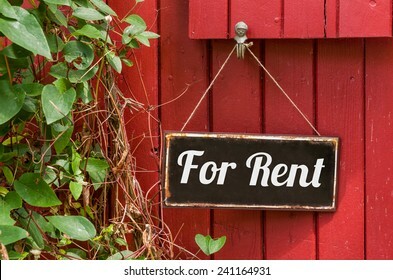 Apparently this couple were looking to move to Tamworth and had decided to try and rent through another private landlord, “Agents ask too many questions and charge too much in fees”. So here is a little story………Parts of it are true other parts embelished to show that there are laws to renting out property! Sandra went on to inform me that when they moved into their current property 3 months ago, they paid no fees to their kindly landlord and only 1 months rent as a deposit. The discounted council tax was paid in cash to the landlord. He ensured it was paid to the council, after all it was one less thing to have to think about, right! What a shame that this kindly person is actually a rogue Landlord. The landlord asked no questions and made no fuss! What he should have done was ask the right questions, carried out the Right to Rent checks as specified in the Immigration Act 2016. So this rogue landlord had allowed the couple to rent a property. In actual fact if he had undertaken the correct checks, he would have found out the couple were not British citizens, nor citizens of a country in the EU or EEA, nor citizens of a country with no time limits on permission to live in the UK. Sandra and Jim should not have been allowed to rent a property. The landlord did not provide his new tenants with the How to Rent booklet, annual gas safety inspection certificate, an energy performance certificate and a smoke alarm. Sandra had found the new house very cold as the boiler was “waiting for a new part”. So the kindly landlord had given them an old coal fire and a big bag of coal as a temporary measure. At least they would be warm in the living room with the coal fire blazing away and as the coal was cheap enough, they could easily leave the fire burning all night. It had been so nice of the landlord to offer this coal fire and weren’t they lucky they had a chimney place suitable for the coal fire. They did not know that the landlord should have provided a carbon monoxide alarm. (The Smoke and Carbon Monoxide Alarm (England) Regulations 2015). The Landlord asked for cash each week for the couple’s rent he never offered receipts or even a rent book. Sandra and Jim were unaware of their rights. The Landlord was either unaware or unwilling to comply with the 1988 Housing Act that if rent is paid weekly a rent book must be provided. Sandra had set up a little nail business in the spare bedroom and was doing very well, she was hoping the business would be equally successsful in Tamworth. The landlord was not happy when the elderly lady next door started complaining about lots of visitors coming at all hours of the day and night. The garden gate was often left to bang shut and this caused a nuisance to the elderly neighbour. The landlord decided that he was going to evict using a Section 21 – but the tenancy must run at least 4 months before a notice could be served. What he has not realised, at the expiry of the notice, he will be expected to take them to Court, where his case would be thrown out because he did not serve the How to Rent booklet, or the Energy Performance Certificate, or the Gas Safety Certificate, nor did he protect the deposit. Had Jim and Sandra known more about the law and been in the property legally, they would have realized they could have visited the Citizens Advice Bureau and taken the landlord to Court for three times the deposit amount. Legislation has a purpose; it seeks to provide a good standard of accommodation for all, to ensure that rent is paid for properties fit for purpose. Sandra and Jim may have had a low expectation of rental properties and did not know their rights however as Asylum Seekers, they needed to seek the assistance of the Home Office, not a landlord who risks a hefty fine or even a prison sentence. The landlord would also have HMRC chasing him for not declaring his rental income. Hall & Thompson Tamworth – Estate/Property Lettings Agents. From tenant find only, right through to a fully managed service, Hall & Thompson offer a personal property experience. We can be involved in letting a property and can take away the trials and tribulations that landlords often encounter when dealing with this themselves. Residential lettings can provide attractive returns on investment and we can advise. Our wide range of lettings services can help you to achieve your letting property investment goals, at a fraction of the cost of most high street letting agencies.